“The NWA3D team is awesome to work with! They have provided hundreds of 3D printers to our EAST programs throughout the country. Perhaps more impressive though is their customer service. They work with our students through training sessions via [videoconference]—and heck, even in person—to make sure that the printers are working and the kids (and teachers) know how to use them. "EAST (Education Accelerated by Service and Technology) is unlike any other model in modern education. It is a project-based, service-learning oriented program that provides students with high-end technology available in the most progressive fields in the world. At its heart, EAST is a coordinated effort to provide today’s students with an educational atmosphere that allows them to gain insight into their own abilities to acquire and use information, solve problems and develop valuable experience. Since its inception in 1996, the EAST model has expanded to over 200 schools in five states (Arkansas, Iowa, Louisiana, Oklahoma and Pennsylvania)." Since 2015, NWA3D has had a special relationship with EAST classrooms. 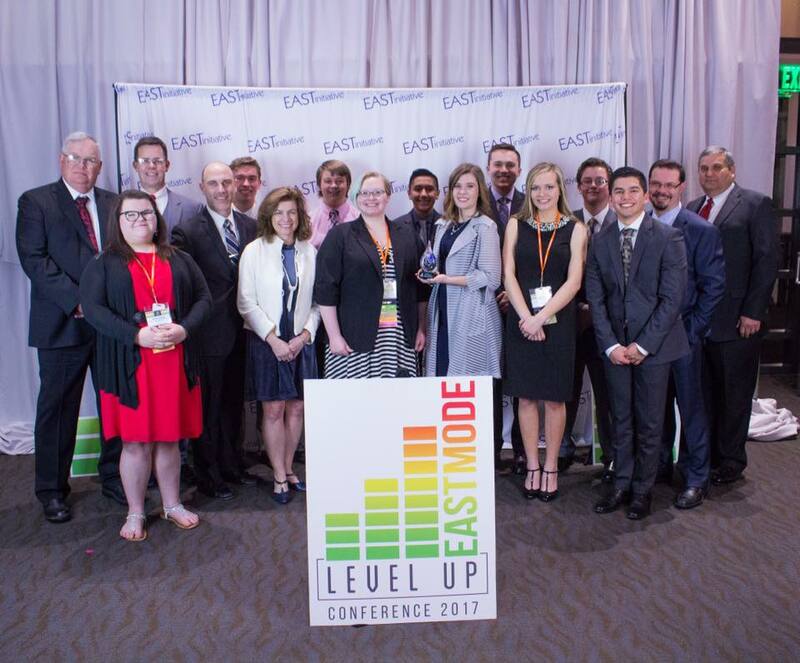 EAST's mission to make a difference in the world aligns closely with NWA3D's goals of student achievement and workforce development through 3D printing. All EAST classrooms are student driven, which is perfect for 3D printing. We have many of our videoconference sessions directly with students to give them a solid foundation of 3D printing knowledge. That way, EAST students can focus on their projects' CAD designs, how to run and maintain 3D printers, and how to troubleshoot mechanical and digital manufacturing problems—without having to worry if their printer will work or not. It's our goal to give EAST students the proper lifetime support and reliable printers they need to be successful in 3D printing. 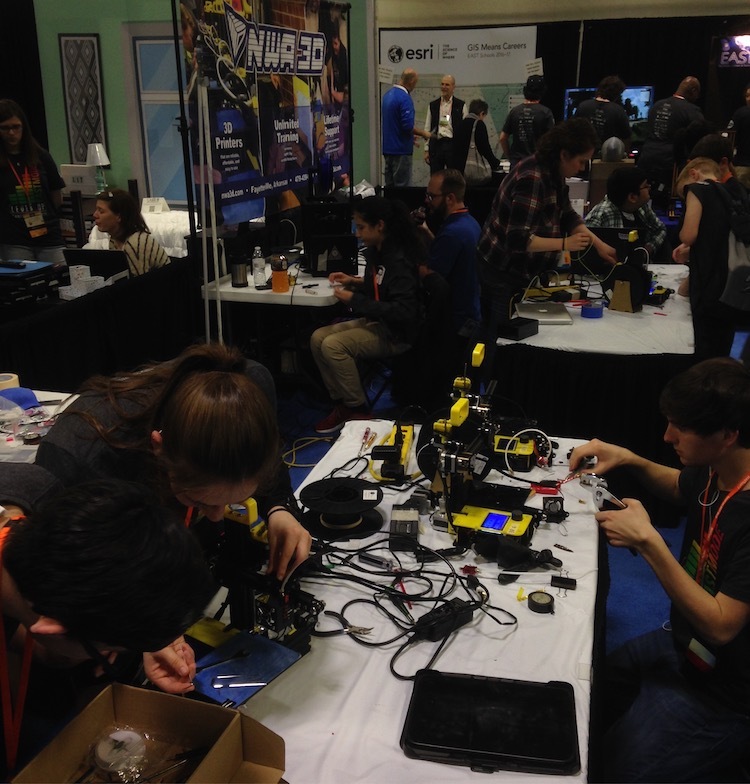 Every year, we host a 3D Printer Repair Table at the annual EAST Conference that's run by students! 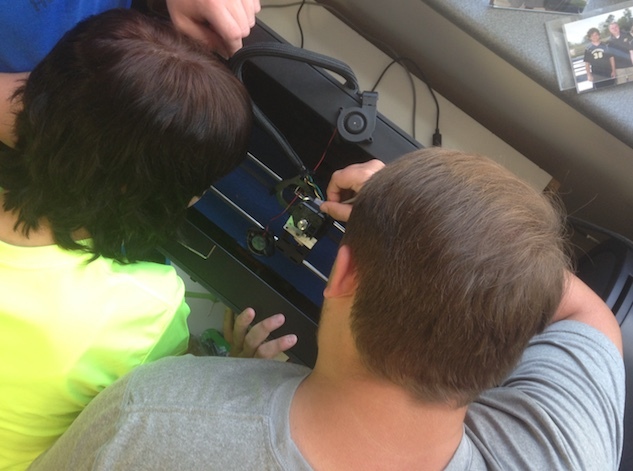 Classes bring their 3D printers to work on and get tips to fix, even if they didn't buy them from us! Here's a picture from our 2017 booth. Our partnership with EAST classes extends far beyond sales. We are passionate believers in their mission and help out in every way we can. We attend their annual EAST Conference, partner with students to help teach at events, and hold specific 3D printer trainings for EAST students and facilitators. We want every EAST student to be successful in all of their projects relating to 3D printing. Each year NWA3D Sponsors 3D printing competitions to foster community engagement and improvement through 3D printing. The "3D Print It Up" competition to challenge students to make an impact in their communities using 3D printing. The 2017 winner was Buffalo Island High School. There are many soft skills that can be learned through project based learning with 3D printing. From communication to collaboration to critical thinking, EAST students learn the creative and engineering process of bringing projects to reality. We’ve taught, assisted, and supplied EAST classes across the country. No more waiting on the phone for hours with service reps. No more looking at a multi-thousand dollar paper weight that your students can’t use, because it’s been broken for weeks. When your students encounter 3D printing problems, we’ll be happy to walk your EAST students through some things to try. If that doesn't work, we'll walk your EAST students through the repairs. If your class purchases an NWA3D printer and it breaks down, just ship us the parts and we'll repair or replace them for free during the first year year with our No Questions Asked Warranty. We'll help your students get it up and running, that's our guarantee. 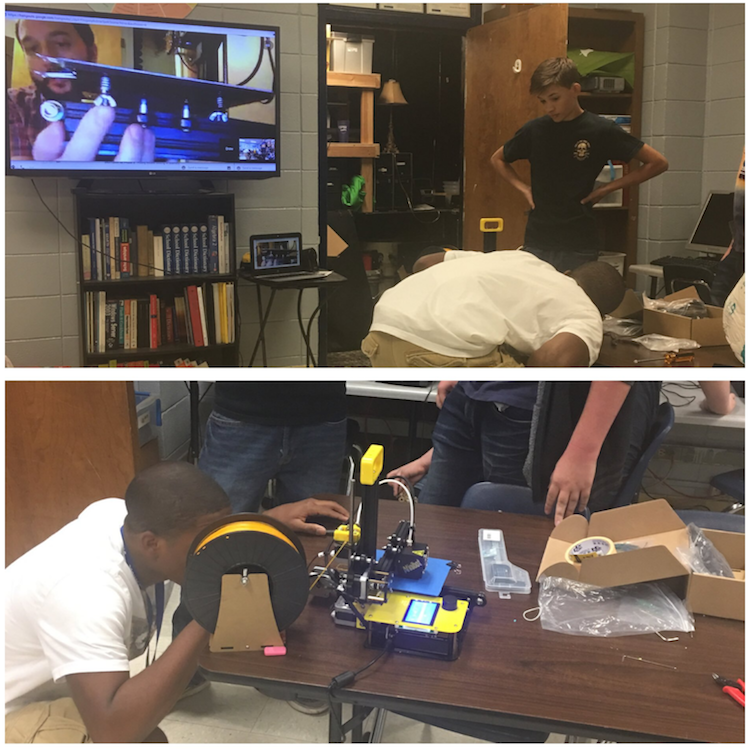 If your EAST Class is interested in 3D printing, contact us to learn how we can help!